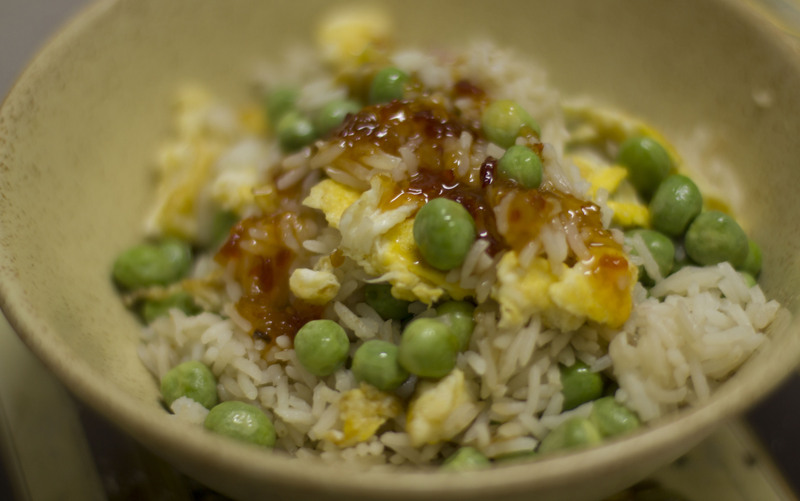 This recipe is authentic in its simplicity and takes about fifteen minutes to concoct even if you do the rice from scratch. 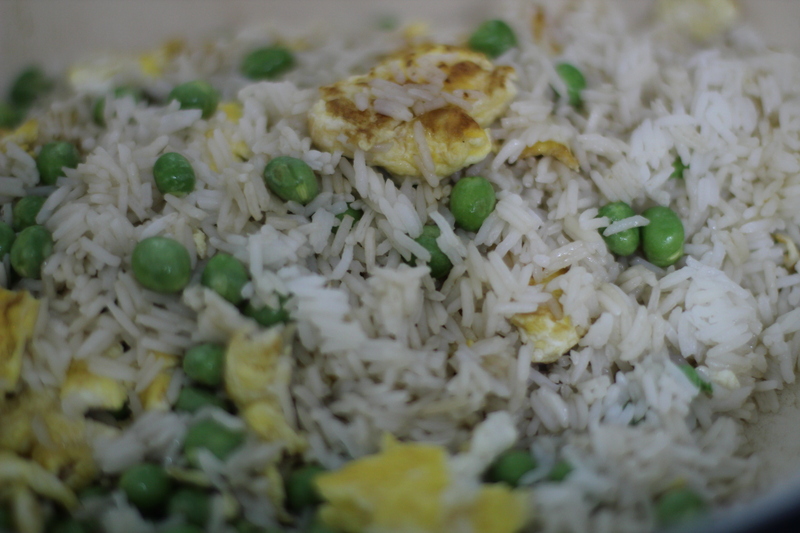 (I often use it as a way to use leftover rice the next day). You can add anything else you fancy such as prawn, chicken or roast pork or duck. 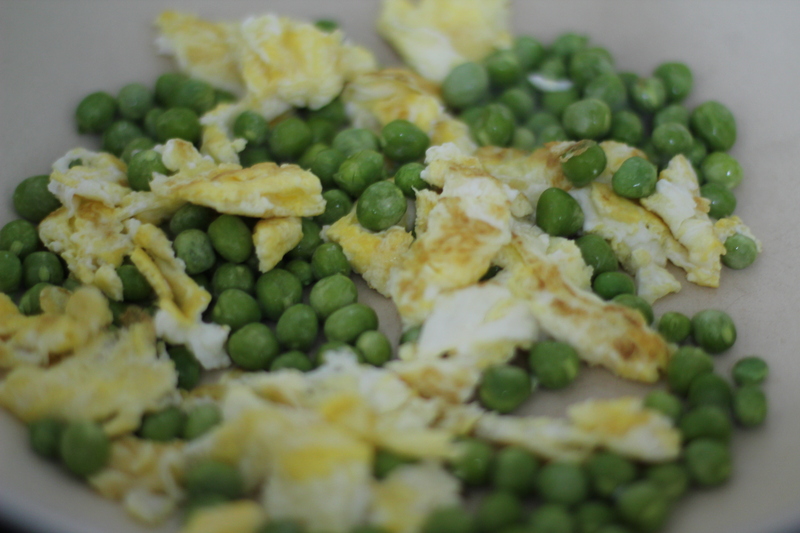 Or just enjoy the delightful simplicity of fresh peas as in this recipe. Cook oil to a high heat. Add egg. When it starts to solidify after one minute tear it into strips with your spatula. 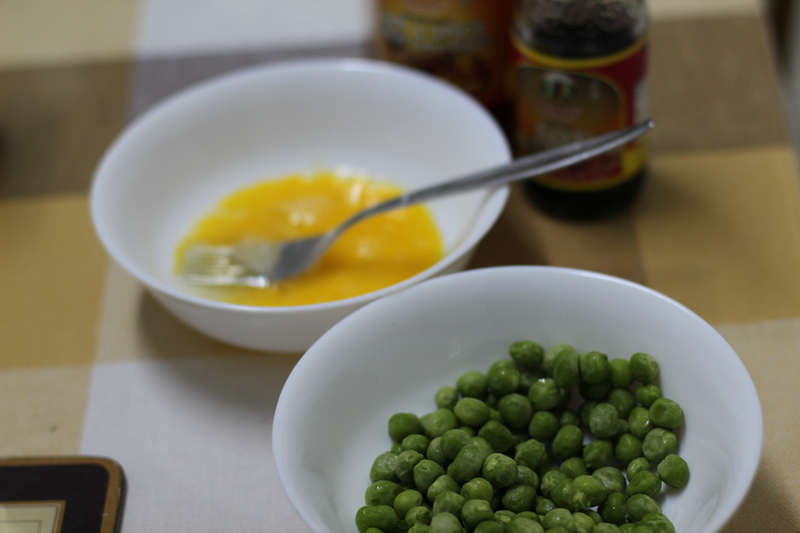 While continuously tossing or stirring throw in the peas. Keep moving for two or three minutes and throw in the rice. Stir for two more minutes and add soya sauce to taste. (The strength varies from one make to another). 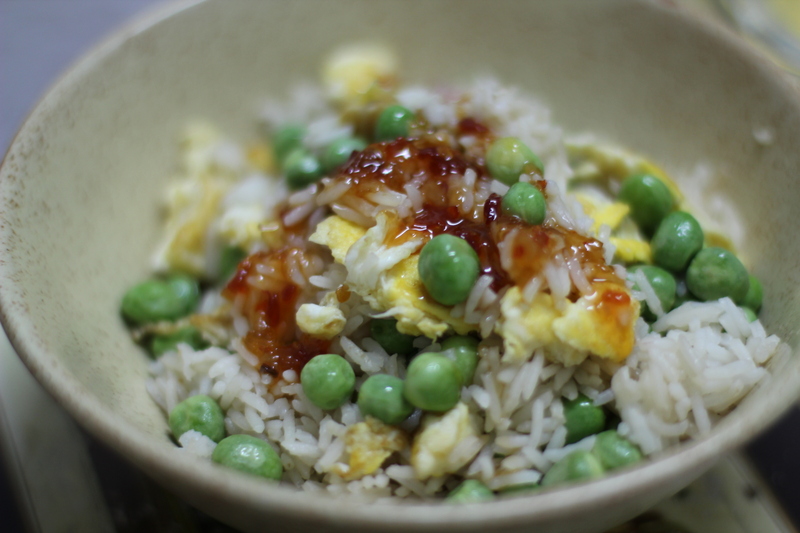 A squirt of Thai hot and spicy sweet chilli sauce gives it a nice tang.